Gwyn is a professional Executive Coach and Leadership Learning & Development Consultant who has significant operational and strategic leadership experience in both the public and voluntary sector now works with senior and executive level leaders nationally and internationally to help them identify and assess personal and professional leadership development opportunities. His unique, practical and powerful strategies make him easy to talk too and he has a way of demystifying what it takes to become more effective. Gwyn is accustomed to coaching both high-potential individuals and those requiring new skills to help them enhance their leadership competencies and capabilities. 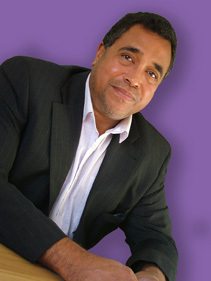 His coaching deepens the coachees awareness of their unique strengths as a foundation for sustainable personal and organisational improvement. He helps them to gain personal insight and to recognize the requirements of the organization in which they work and the person who they are. Gwyn capably leads his coachees through a process of setting realistic and measurable goals and then demonstrates to them how to achieve those goals in common sense and practical terms. His toolbox of sensible strategies guarantees sustainable success. Eliminate fear, worry and needless stress and anxiety. Gwyn believes that through his executive coaching it is possible for anyone to learn these strategies, alter their attitude and perceptions and so create leadership success on their own terms to achieve their ambitions for the future.